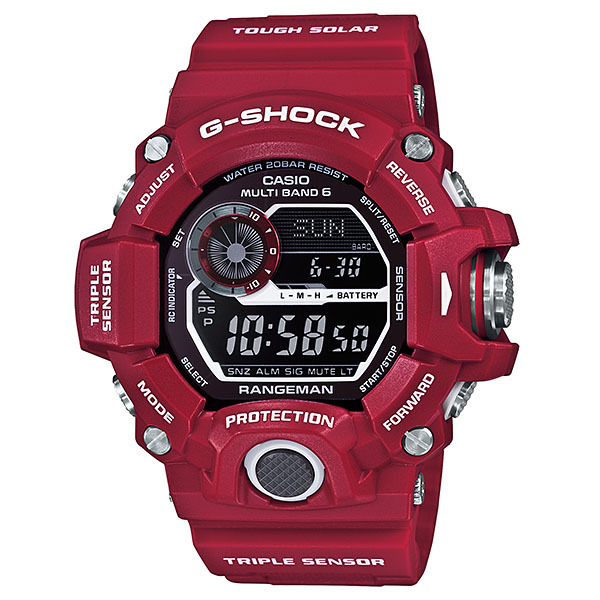 Introducing striking red color variations for the Master of G Series of toughand rugged timepieces designed and engineered to stand up to the toughestconditions imaginable. 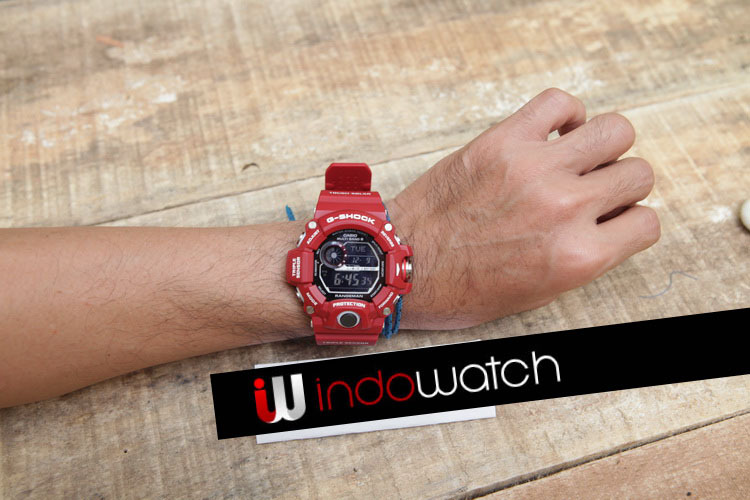 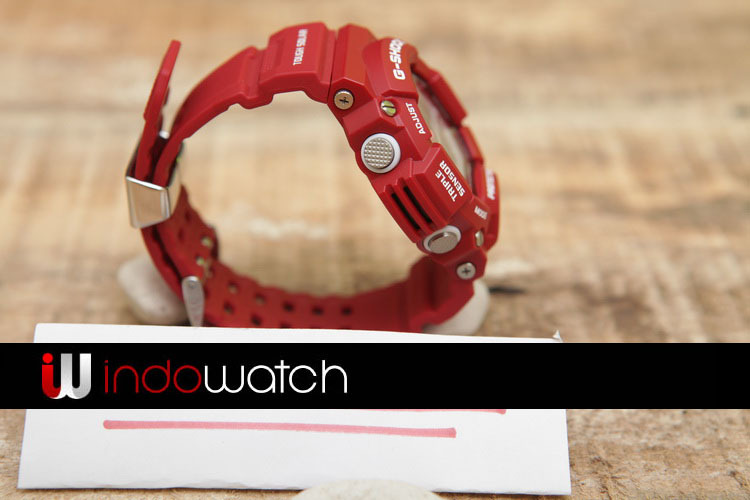 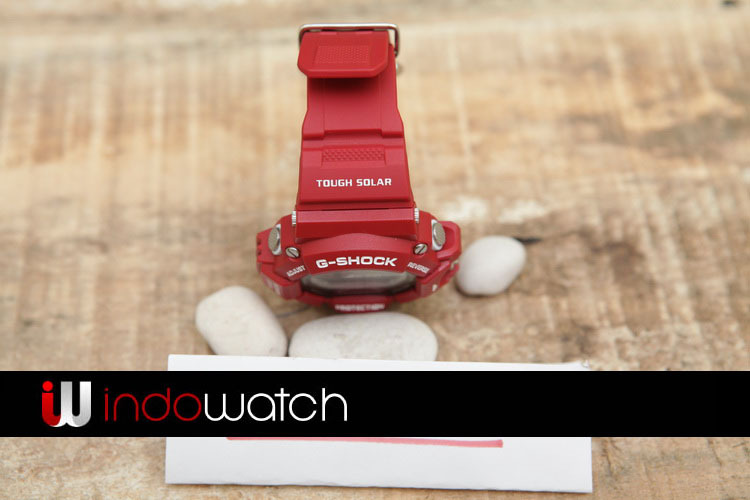 The basic G-SHOCK red with white accents are thesimilar to the colors used for special-purpose vehicles and aircraft. 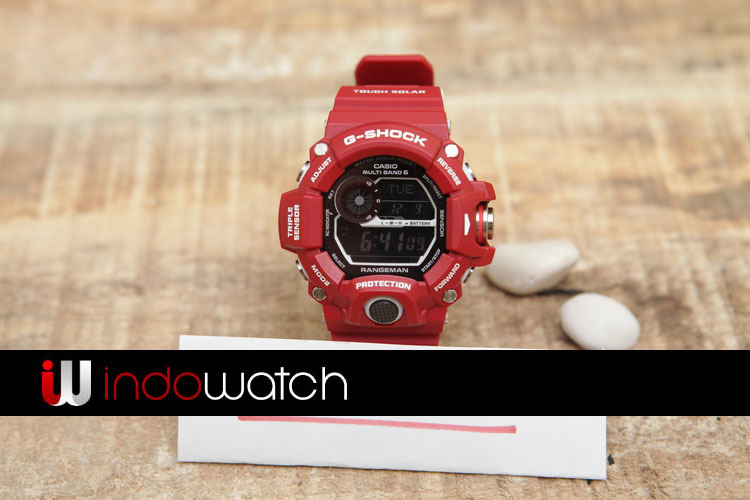 The boldblack coloring of the LCD, face, and buttons creates a tough and powerful look ofrefinement. 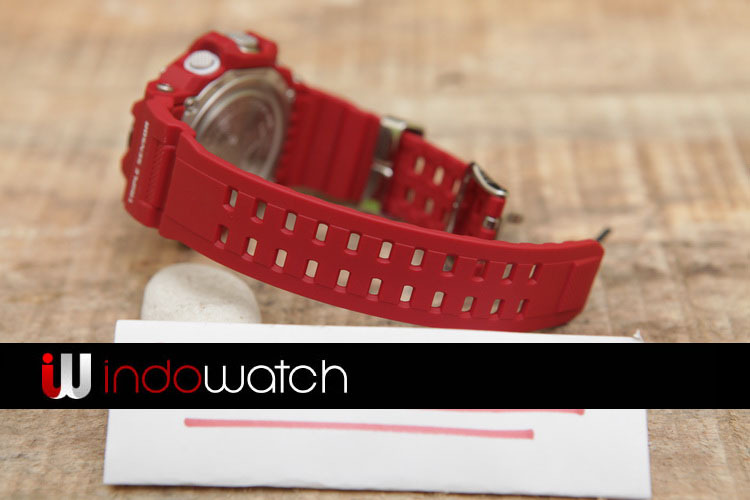 Available is RANGEMAN with Triple Sensor altitude, bearing, and barometricpressure/temperature capabilities. 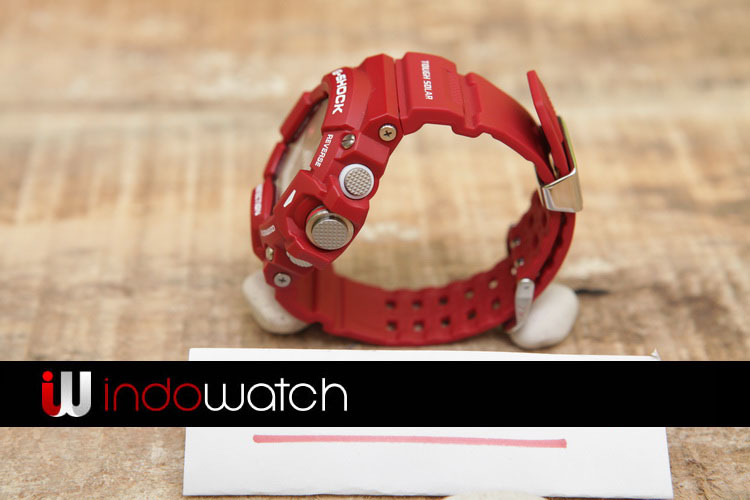 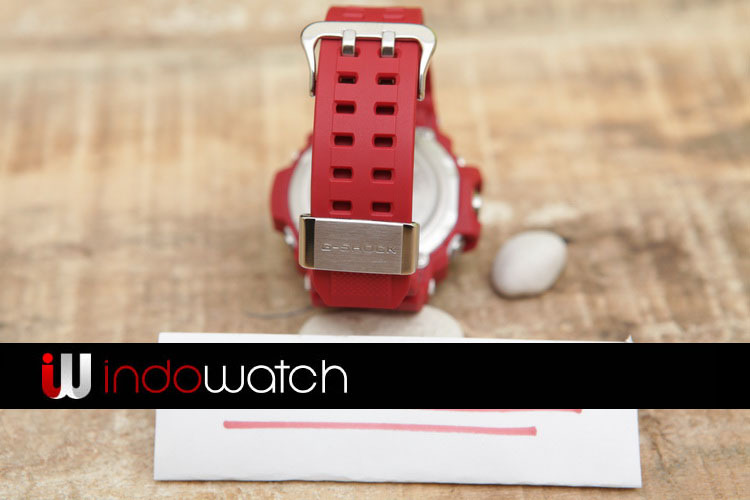 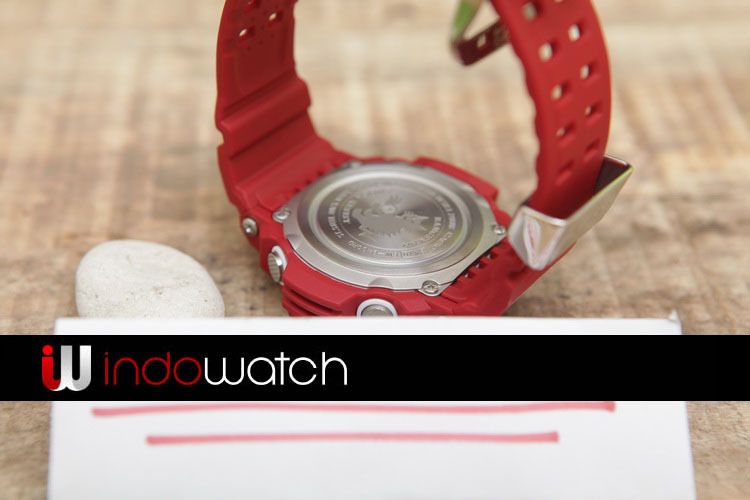 The result is a pair of watches of unmatched toughness in exciting new colors.